We pride ourselves on offering a quality personal service, based on a wide choice of products, expert advice, and professional workmanship. We have good supply arrangements with leading brands of laminate flooring, carpets, curtains, and wallpaper. Our wide range of products and professional sales team allow us to offer a solution for most applications. We can provide our products to both commercial and domestic customers across Malaysia . Helpful, friendly people and with a promise to give you the personal service and professional advice you would expect from a company that cares about it’s reputation and delighting you. Visit us or we’ll come to you. With an extensive range of flooring products to choose from and a good selection of curtains and blinds we can help you co-ordinate the colours and materials that will look perfect in your home. Wood floors are durable, easy to clean and dust free. Hardwood floorings are available in a wide range of colours and designs. There is a wood to suit everybody’s choice or budget. Laminate floors are stylish and versatile and built to withstand the rigours of family life. Easy click systems allow the planks to be laid quickly and you can walk on them straight away. They combine practicality and exceptional durability with good looks, dust free healthy living and are ideal for high traffic areas, having superior stain and scratch resistance. 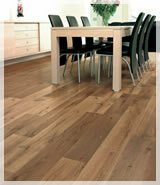 We supply and install a wide range of domestic and contract vinyl flooring. From non-slip safety flooring to our domestic range of vinyls in a wide selection of textures, patterns and colours.We supply and fit cushioned vinyl's which are now available in a wide choice of textures, colours and patterns, combining affordable luxury with elegance and practicality. We also supply wallpaper to suit your taste. Come and choose from our range of sample books. Choose from a wide range of samples available with us. We are experts in custom-made blinds. We supply and fit all types of blinds including roller, Roman and venetian blinds,bamboo blinds, vertical blinds. We also specialise in all kinds of curtain making and curtain accessories. We also offer home visits, a free measuring service and design and colour consultation. We are leading window film suppliers in JB area. Our window film installers are highly-skilled and fully trained at fitting all types of solar control film, ultraviolet window film, manifestation window films and solar blinds. We maintain our reputation for quality by training our fitters with the very latest solar window film application techniques and ensuring our fitters are both efficient and professional.